The firm consists of three attorneys and experienced and professional support staff to provide clients with the highest degree of legal services. Our professionals are readily accessible for prompt action in response to the daily needs of our clientele. We are conveniently located off of the 241 toll road in Foothill Ranch, in Orange County, California. Kurtz, Anderson and Associates Law Offices is registered with the State of California and is licensed to practice law in the states of California and Oregon. The firm provides both personal legal services and business-related legal services through its professional principals, associates and staff. Trustor: The trustor establishes the terms of the trust, including how the trust is to provide for the beneficiary. Trustee: The trustees are the legal owners of the trust, but they are obliged to hold the property for the beneficiary. Beneficiary: The beneficiary can be individuals or organizations who receive benefits from the trust. Formation of business entities, including corporations, LLC’s and partnerships, Structure tax-free mergers and reorganizations, Draft buy-sell and shareholder agreements, Advise and plan for business exit strategies, Secure compliance with securities exemptions, Wind down and dissolve business entities, Choosing a Business Entity. 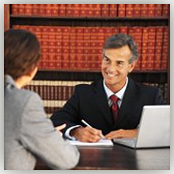 The nature and scope of legal services required depends on the circumstances of the estate. If the decedent died intestate or with only a will, a probate will generally be required. Though generally the purposes and goals in a probate are similar to estates administered outside of probate, the procedures in probate are also more rigid and are subject to close court oversight. Thus, the probate services provided by our office are similar to those set forth below for trust administrations, but are handled differently from a procedural standpoint.